Courtesy Posting: This handsome boy was found in the streets of Bushwick. 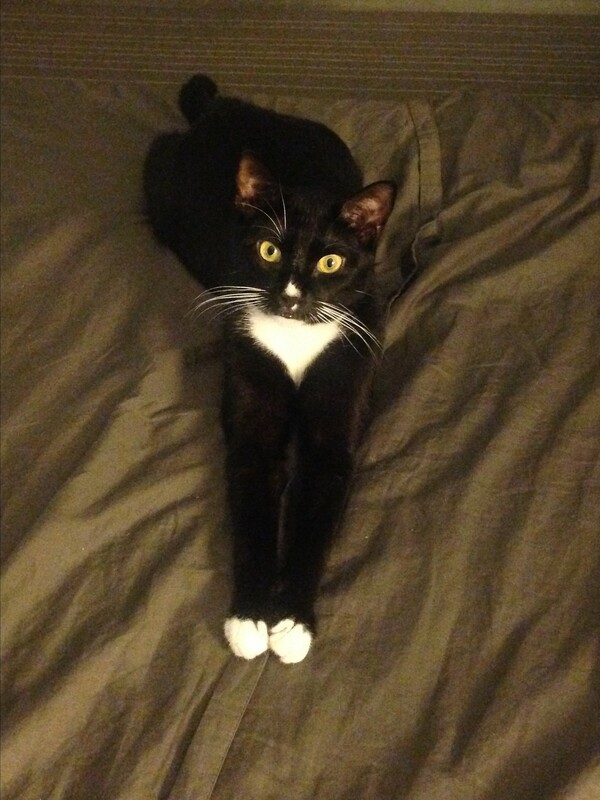 Sylvester is fully domesticated and super friendly with other cats and humans. He is a super energetic kitty, who loves playing with little objects, small balls and strings. Sylvester would love to have the company of another cat, especially his best friend Tabatha (pictured here). He is super chill, easy going and incredibly friendly. He is a happy drooler who loves making biscuits. Contact Infinite Hope to meet him! Infinite Hope is an all-volunteer IRS-approved 501(c)(3) not-for-profit animal rescue. Since its inception in early 2004, Infinite Hope has placed over 1,000 animals in permanent and loving homes. Because we are an all volunteer organization 100% of our funds goes towards the housing, care and placement of our animals. Our Board and volunteers donate their time and resources toward the cause of caring for and finding homes for abandoned animals, eliminating the problem of stray, unaltered animals in New York City, and caring for special needs animals until a permanent or foster home can be found. While in our care, all of our animals receive high-quality food, shelter, positive interaction with our volunteers and all necessary medical care, including a complete vet exam, spaying and neutering, (if 5 months of age or older) and testing for communicable feline diseases (FIV and FeLV). We are fortunate to have a small adoption center at Hope Veterinary Clinic at 390 Atlantic Avenue, Brooklyn. In addition we have a foster network so that our animals can receive care and attention until we have placed them with a loving and permanent home. All adopters are carefully screened. Volunteers spend time with potential adopters and available animals, to ensure a good match for all. We are committed to a 100% âno-killâ philosophy and will not accept animals beyond our capacity to care for them.